I’m a man who likes his seasons. In spring, I thrive in the fresh air and those glimpses of colour in the newly dug flowerbeds. In summer, I bathe in the heat of the sun and those long, golden evenings. The tumbling leaves and changing colours of autumn warm my heart. And in winter, I relish the crisp mornings and the soft dustings of snow. Weather has always been a hotly discussed subject on these shores, however, with Christmas a few days away, I think it’s safe to say all bets are off for a white Christmas. This unseasonable mild weather is having quite an impact on Mother Nature, and on me. As we turn to one another and wish goodwill to one and all, the outside temperature is tugging at my consciousness. 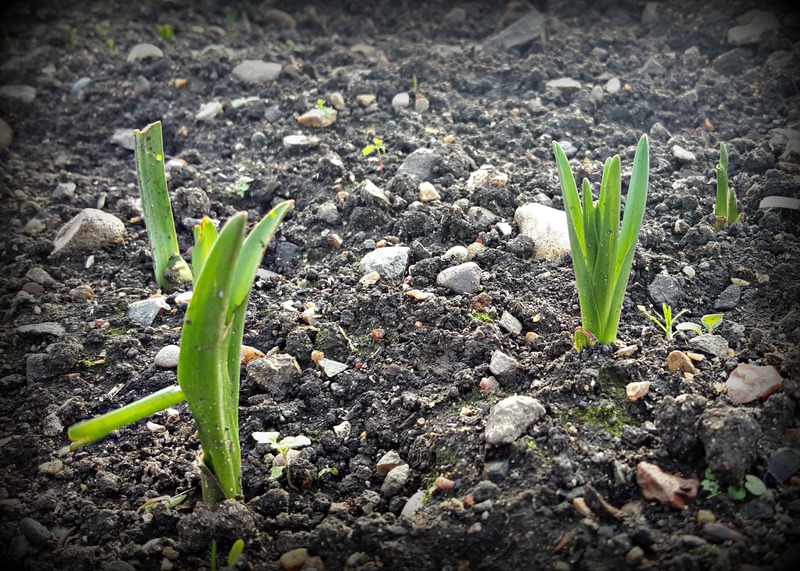 Up at the plot yesterday, I couldn’t help but notice spring bulbs piercing through the soil. Normally, the sight of something green in February would fill me with hope. To see these tender shoots so early fills me with concern. We need some cold weather, not only to improve the flavour of both my swede and sprouts, but a cold hard frost will kill off those unwanted pests currently resting in the soil, biding their time for the warmer months when once again they can wreak havoc on our precious spring crops. I’m not going to get on my soapbox and start preaching about global warming but I’m aware of change and the bigger problems these unpredictable seasons are having on my allotment, on the environment and on our future. On another note, Agent Soph and myself had a fantastic evening this week at Christmas at Kew. 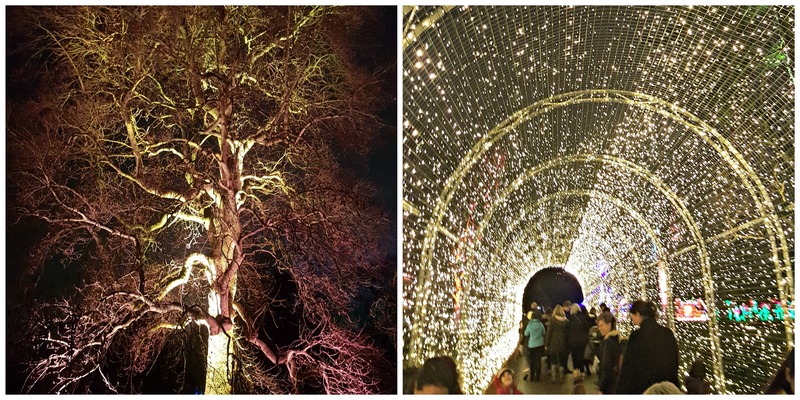 It was wonderful, not only because of the amazing lighting displays which compliment the trees and shrubs, but also to see so many young children curious about the gardens. As they cupped their hot chocolate in one hand and their lightsaber torches in the other, they were full of questions. ‘What’s that tree?’, ‘How old is it?’, and ‘Does Santa like gardening?’. They were in the open air, getting closer to nature and having a wonderful time, and so were we. Whether it’s the bleakest of winters or the height of summer, if you’re at all interested in gardening, a visit to Kew Gardens is a must. And yes, I did get to see Santa. Now if that doesn’t put you in a Christmassy mood, then I don’t know what will. And a Merry Christmas to you Angela! Yes a dusting of snow would be welcome. 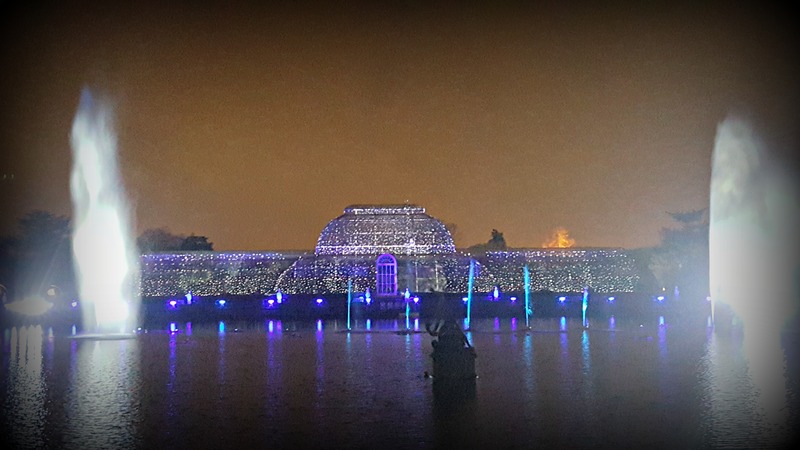 Gorgeous images of Kew- I especially love a subtly lit tree and Happy Christmas to you both. Glad you like the images, we need snow! Merry CHristmas to you Sue! Hear, hear, Ade! As far as I’m concerned, you can get on the climate-change soap box any time you want. In Maine, which is known for its cold winters, the prediction for the temp on Christmas Eve is 65 degrees Fahrenheit. If the prediction holds true, then records will be broken. And you’re so right about a good, hard freeze reducing various insect pests. Those photographs of Kew gardens are lovely. Makes me wish I could teleport to London to see them. Thanks so much for including them in your post. Thanks Laurie! Lovely to hear you liked the post. A Merry Christmas to you and yours!